I took the pictures when I visited Danny Day at Eprida last month. 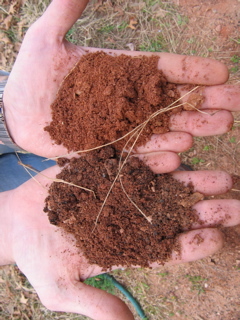 The first shot is of the red Georgia clay before and after charcoal had been tilled in two years prior. The second shows some "structure" as a result of the charcoal treatment. 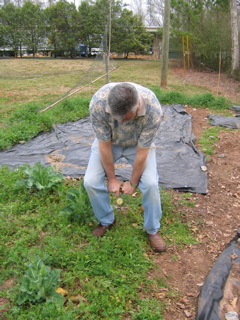 The untreated had become very hard (compacted). 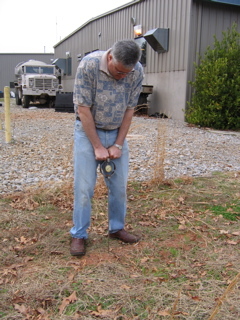 is pushing the device (penetrometer??) with a force of 300#/ sq. in. 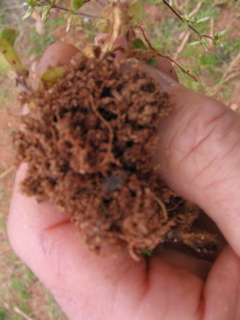 and it is obvious how much looser the soil in the fourth image is!